A Californian appeals court has upheld Conrad Murray's conviction for the involuntary manslaughter of Michael Jackson. 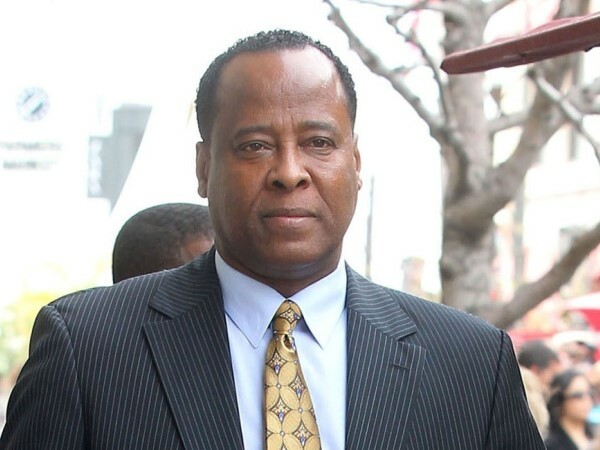 Conrad Murray has lost his appeal against his conviction for killing Michael Jackson. A three-judge panel at California's Court of Appeal unanimously upheld the disgraced physician's 2011 conviction for involuntary manslaughter, ruling there were no errors during his six-week trial and that there was sufficient evidence to support his conviction. In the ruling, the judges stated Murray's belief his patient had administered a fatal dose of powerful anaesthetic Propofol himself was just a theory, noting the doctor's fingerprints were all over the bottle of the drug and that he had lied to police who arrived at the star's home after his overdose in June 2009. The ruling went on to state, "Murray's callous disregard for Mr. Jackson's health and safety was shown throughout the trial from the manner in which he administered a number of dangerous drugs to Mr. Jackson without the appropriate medical equipment, precautions or personnel in place, and to the manner in which he left Mr. Jackson unattended. The evidence demonstrated that Mr. Jackson was a vulnerable victim and that [Murray] was in a position of trust, and that [Murray] violated the trust relationship by breaching standards of professional conduct in numerous respects." The panel also rejected Murray's claims that the judge presiding over the case improperly excluded jurors from hearing key evidence and should have sequestered jurors. Murray was released from prison last October after serving two years of his four-year sentence. If he had won the appeal, it would have helped with his bid to get his medical license reinstated. Meanwhile, insurers Lloyds of London have dropped a claim stating they didn't have to pay out on losses of Michael's This Is It concert residency at The O2 arena. The company had initially claimed they had been deceived because no one ever disclosed Michael - who was rehearsing for the 50-date London residency at the time of his death - had a drug problem. However, according to gossip website TMZ, the insurers have now dropped their fraud claim and agreed to make a payment to promoters AEG, though it is not believed to be the full $17.5 million the policy was worth.